Lake Chapala doesn’t have the desert or the hot, humid weather of common tourist areas. Guadalajara, Mexico’s second largest city, is less than an hour with all the amenities you could hope for with world-class shopping and cultural arts. With its semi-tropical climate, Lake Chapala is a land that is every awakening. Situated in the foothills of the Sierra Madre mountains of South Western Mexico, it is located in a valley with an elevation of over 5,000 feet above sea level. The protective mountains create a micro-climate that averages 75F or 24C year round. According to National Geographic, Lake Chapala has the second best climate in the world. Like the fabled Camelot, even when the cooling rains come from June to September, it almost always rains at night. In the morning, the sunshine is back and the humidity is just high enough to keep the brightly colored flowers blooming and turn the mountains a lush, tropical green. Color is everywhere. Flowers draped from balconies, hanging baskets, fences, borders and trees. This is truly a cosmopolitan community where everyone is welcome. 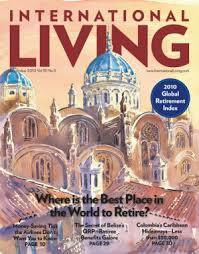 International Living Magazine has ranked Mexico as the number one place to retire in the world for the past two years in a row. More people than ever are opting to live outside their home countries to take advantage of the lower cost of living. On average, you can save 30% living here. There is world class health care at a fraction of the cost you’ll find north of the border. Frequently called the “Chapala Riviera” with its cobblestone streets, flowering trees, lush mountains, tranquil lifestyle, low cost of living, Lake Chapala has become a popular destination for visitors, who then fall in love with the pace and the people and make this their home. In the 1960’s, hippies and artists discovered Lake Chapala. This created an eclectic blend of art and personality which, of course, attracted more artists and has turned Lakeside into a flourishing artists community, home to dozens of galleries and craftsman of every kind, an attraction that continues to beckon today as is evidenced by the whimsy and color at Lake Chapala. You’ll also see some delightful forms of transportation such as donkeys and horses. Along with that, is the safety they feel in the village streets and sidewalks, day and night. English is spoke everywhere. Wireless internet access and Vonage service is inexpensive and people can email or call their families back home. There are many recreational activities – tennis, golf, horseback riding, boating, fishing, biking, hiking. Plus there are so many English language clubs and charitable organizations, that no one could ever be lonely or bored. 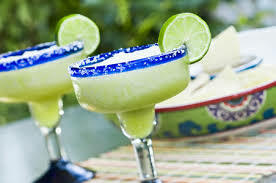 Mexico has been called the land of fiestas. 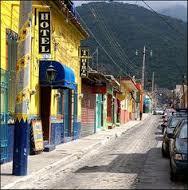 There are 5,000 registered fiestas in Mexico and festivals are always great fun and feasts for the senses. With all the dancing, food, music, drinking and wonderful sights, culture is expressed through these fiestas and celebrations all year round. The services are world-class – cozy B&Bs, gracious 5-star hotels and bungalows – you’ll find the perfect place to feel at home. There are a wealth of restaurants ranging from Italian, Greek, Argentinian, Chinese, Thai and of course the best margaritas in the world. There are movies in English at the local cinema, English TV, water park and a community theater with plays performed in English. There are places to worship in every Christian denominations. If you are looking for a home with a village-pace of life, you’ll find exactly what you want – condos with concierge services, charming homes with stonework, handpainted tile, beamed ceilings and outdoor living.